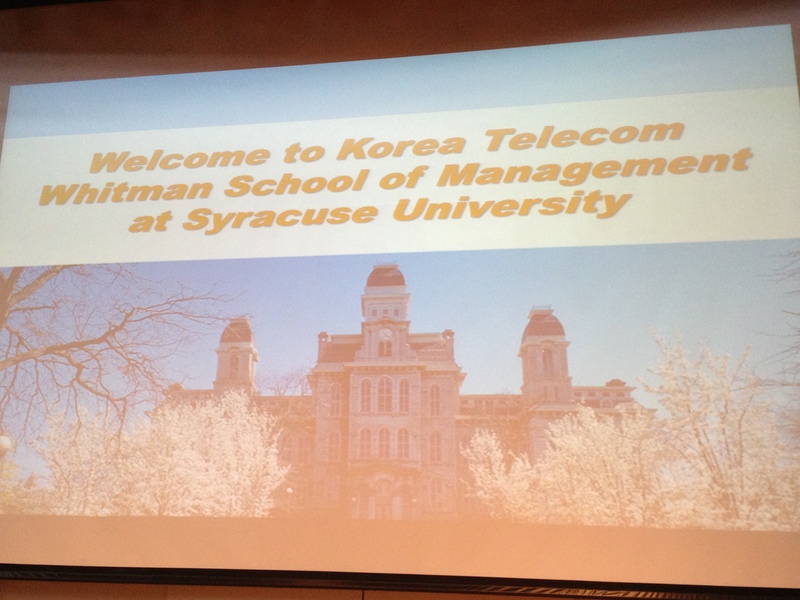 For spring break I went to Seoul, South Korea to study “Global Innovation Management”. Before going, I wasn’t sure what to expect, but after my trip, I think I have a good understanding of what global innovation means. We spent the week going to companies like Korea Telecom, Amore Pacific, and YG Entertainment, as well as Hyundai, LG Display, and Samsung. I learned a lot about the challenges that global brands face when targeting multiple countries, and how they have to alter their marketing message (perhaps even their brand image) to match the values of that country. 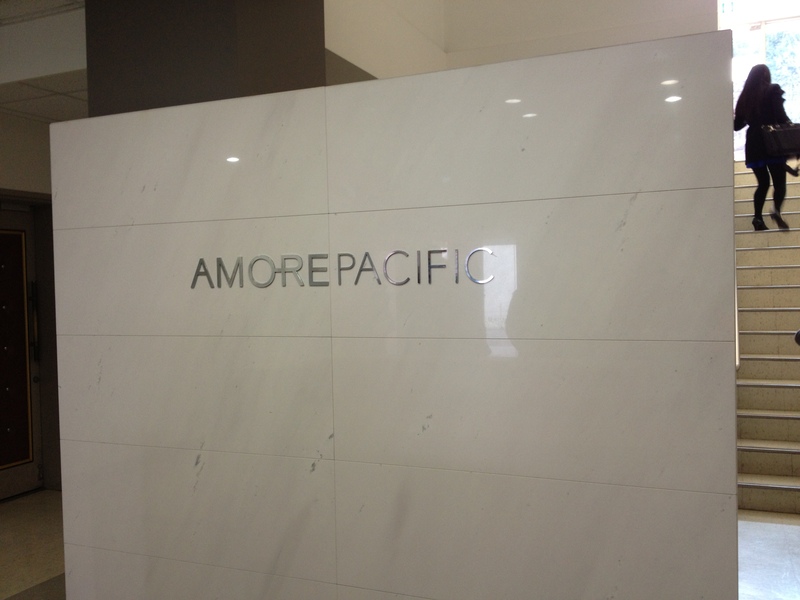 Amore Pacific, a Korean cosmetics company, operates in multiple countries, including Japan, China, France, and the United States. Marketing in each country is not a one-size-fits-all strategy. As the company has learned, each country has different needs, and is more likely to be open to different products. In Korea, Amore Pacific offers all their products and product lines. When expanding to different countries, they have to understand the limitations of what they can offer in each. In order to understand this, they conduct market research, surveys, and other types of research before launching any new product in a new market. 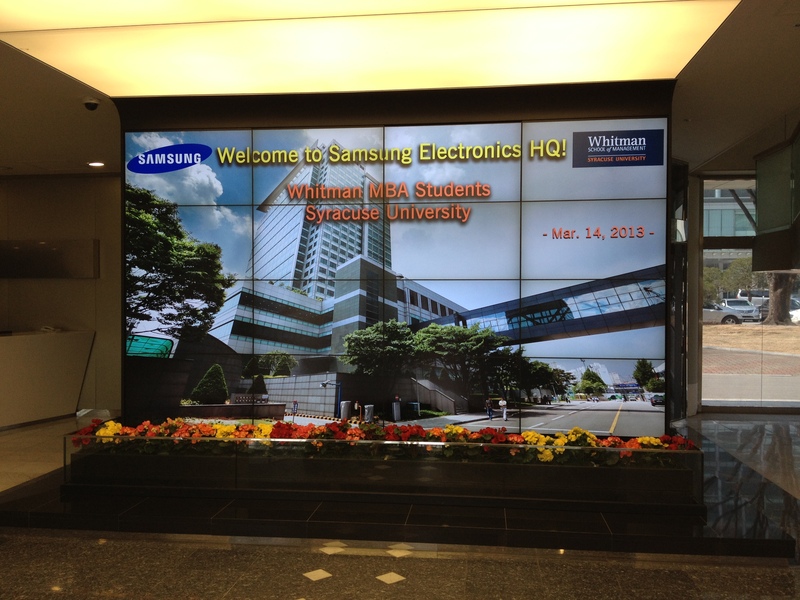 While in Seoul, my class just happened to visit Samsung the day before the Galaxy S4 launch. Besides the fact that this was enormously historic, we were able to see how Samsung views itself in the global marketplace. In most countries, Samsung is the number one in the mobile phone market. The exception, of course, is the United States, where number one is Apple. Additionally, the company shared with us other ways in which they market themselves, including experience stores. In addition to getting a tour of Samsung Digital City, we also got a tour of the Samsung offices, and were able to see the history of what is now one of the largest technology companies in the world. Seeing where the company started, and where it is now was one of the most enlightening experiences of the trip. Korea Telecom, one of the three main telecom companies in Korea, mainly functions within Korea. However, they are ranked 5th in global markets in mobile smartphone usage. In addition to providing mobile communications networks, they do work on other additional projects that reach outside of Korea and into the rest of Asia. Some of their projects include a K-pop music app that is very iTunes like, and could possibly be a strong competitor in the Asian market. Some others are education technologies that would take learning into the digital age. Being able to go to a country that I most likely would never have visited of my own volition was amazing. Being able to see how these companies view themselves versus how we in the United States view them was truly educational. Additionally, being exposed to Korean culture was, most likely, a once in a lifetime opportunity. 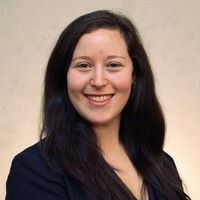 Although I’m not exactly sure what “Global Innovation Management” means, I am inspired by what I saw and learned during my trip, and I understand that global brands have a multitude of challenges facing them when serving the global market. There is no one-size-fits-all solution.